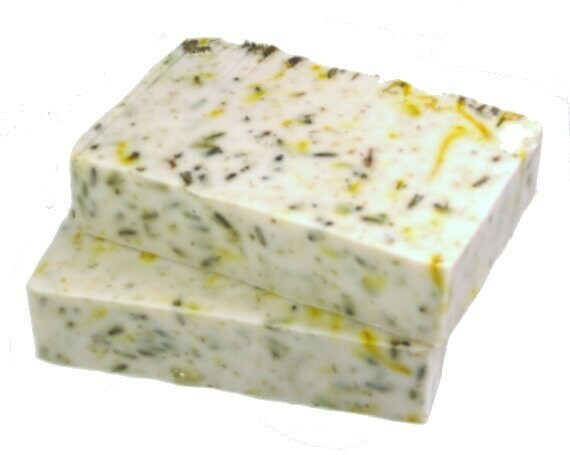 The anti-bacterial properties of Tea Tree Oil make this soap bar a favorite among teenagers and people suffering from problem skin. Calamine helps soothe & reduce swelling and redness. 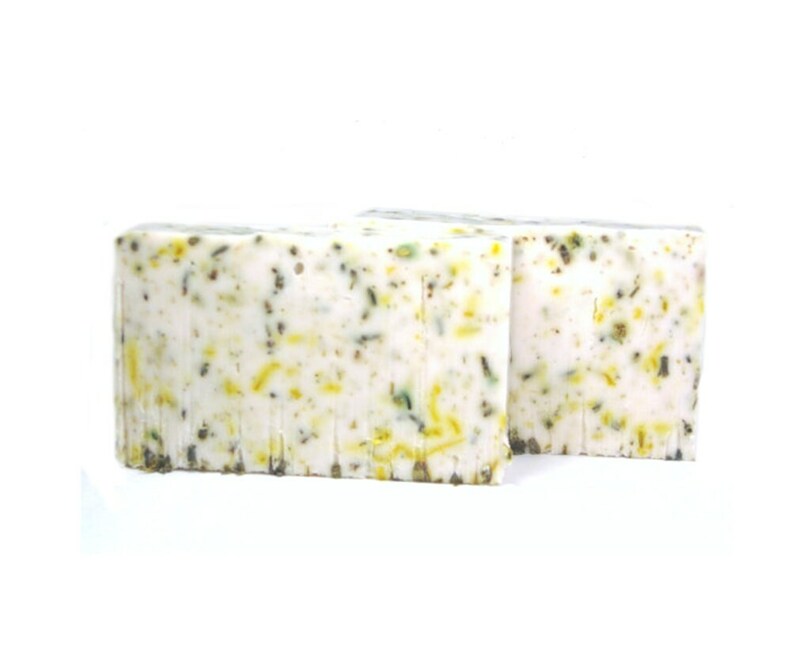 Organic Calendula is added to increase blood flow thus helping wounds heal faster. It also helps oxygen get to the affected area helping the body grow new tissue faster. 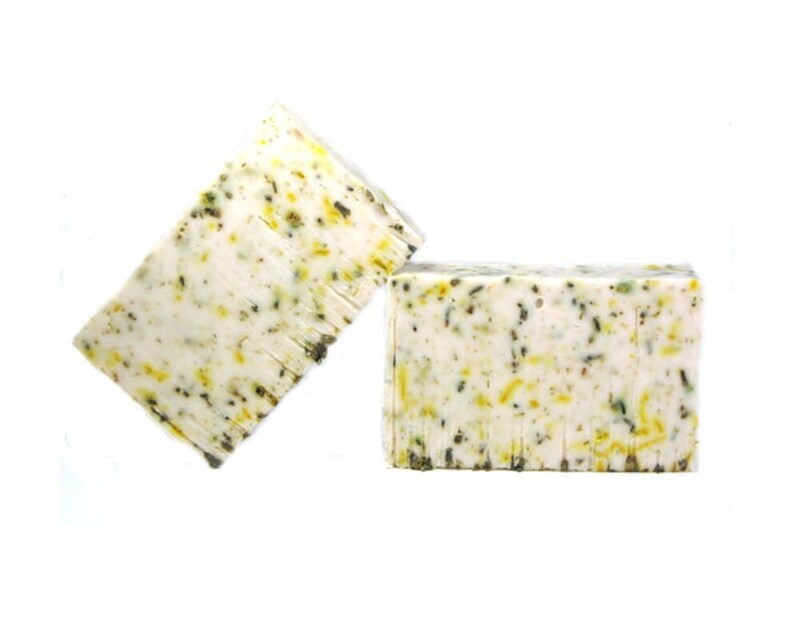 Organic Chamomile helps to reduce dark spots. Lavender flowers help to nourish & eliminate dry patches. INGREDIENTS: Coconut Milk, Aqua/Water/Eau, Sodium Hydroxide (saponifying agent), organic Lavender Flowers, organic Calendula flowers, organic Chamomile flowers, Calamine Powder, Rose Kaolin Clay, Tea Tree oil, fresh organic Aloe Vera, Rice Bran Oil, Jojoba Oil, zinc oxide and Vit-E. This is super calming on my face, I really recommend!! Works fine, not any better or worse than the cleanser I was using previously. It came with more packaging than was necessary, which was disappointing.